Why do some superstitions and myths linger? Is it because they have some kernel of truth that will help guide us through an uncertain and increasingly complex world? Or is it because they sound like an easy-to-understand truth, that explains life's complexities in a way that makes it easy for us to justify otherwise irrational actions? Always influencing our decisions, yet threatening to to undermine our intentions because of their inherent lack of scientific merit? In the case of the concept of Learning Styles, I fear it is the latter option. The spectre of "learning styles," and its proclaimed "importance" as a consideration in instructional design, continues to loom over education systems -- despite well-informed entreaties to abandon the myth in favor of evidence-informed decision-making. I recently asked a group of graduate-level education students to draft position papers on their personal teaching philosophies with respect to the integration of educational technology. We had spent the first few weeks of the course discussing the core competencies of Instructional Designers, and exploring a range of key learning theories. Not once in the course readings were Learning Styles included as a fundamental concept. Yet... the concept has popped up in Tweets using the course hashtag, and in a number of students' teaching philosophy statements. I don't normally discuss Learning Styles in my courses, because they are not only unproven -- they are disproven. Corporal punishment was once also considered acceptable in schools. But -- unlike corporal punishment -- the myth of Learning Styles remains so pervasive in schools, colleges, and universities, that I feel I would be remiss if I didn't address it in some way. If the brilliant and creative educators whom I have the privilege of collaborating with every day are being affected by this insidious myth, then I feel I should at least give them some "food for thought" -- some fuel for a healthy debate, rather than letting blind acceptance of something that has been "debunked" continue unchecked. I am not a neuroscientist, and there are plenty of reputable authors who have commented on this topic more eloquently than I could... so I will not pontificate. I will summarize a few key points, and point to some of these excellent resources that every instructional designer, practicing educator, and education student should take the time to read. ​What is the Learning Styles Myth? What's Wrong with These Learning Styles? Likewise, Steven Wheeler (2011) posted an excellent summary of what he called A Convenient Untruth. There is NO evidence that Learning Styles really exist. There is NO evidence that addressing Learning Styles has a significant impact upon learning achievement. Training teachers to, and requiring them to integrate Learning Styles into their instructional design and lesson planning distracts them for evidence-based efforts. An over-emphasis on Learning Styles unnecessarily pigeon-holes students, convinces both students and their teachers that achievement issues can be attributed to their Learning Style preferences, and may lead students to not exert as much effort when learning is presented in ways contrary to their perceived preferred styles. Despite the lack of evidence for the concept of Learning Styles, and the fact that many teacher training programs overtly dispute their validity, the concept remains prevalent in both K12 and higher education contexts. The gist of a recent Tweet by one of my graduate education students (while sharing a link to an article from Forbes (McCue, 2019) espousing the importance of Learning Styles) was that incorporating them into instructional decision-making helps more students to achieve learning goals, because we'll hit more of their preferred "styles." Without getting into too much science -- targeting Learning Styles preferences should not be the focus. But, there is evidence-based merit to incorporate a variety of teaching and learning approaches. Such variety increases engagement, because it reduces the "normalization" of instructional presentation. In other words, it prevents desensitization to the presentation format. It also peaks learners' interest -- ALL learners, not just those who prefer one "style" over another. Boredom can take students out of the engagement zone talked about in Flow theory (Learning-theories.com, n.d.)! Then, there's also the benefit of multi-modal, or multi-channel reception of content (Mareno & Mayer, 2000; Quinette, et al., 2003; Zheng, 2009) . Evidence has shown that information presented through multiple modes -- targeting multiple senses -- is better understood, and better encoded into long-term memory. Long story short -- there are plenty of valid, rigorously tested learning theories and models that we should be considering when making instructional design decisions. There are plenty of reasons to incorporate variety in how we present material, and expect our students to interact with it. There is not only NO need to rely upon over-simplified models that sound good (but lack evidence) -- reliance on such models leads us astray from informed decision-making (and potentially risks us making harmful instructional decisions). Adding a Human Touch to Online Learning, Right From the Start! I teach a number of courses that focus on different aspects of instructional design for online learning. One thing that I always like to emphasize is the importance of "humanizing" the online learning experience. Too often, students (and instructors) complain about the loneliness and isolation of being in an online course. If it feels that way, then the principles of creating a Community of Inquiry have not been considered during the instructional design process! Social Presence -- Connections between learners. Teacher Presence -- Connections with the instructor (and the instructor's presence, guiding and facilitating the learning process). Cognitive Presence -- Connections with the learning content and activities. ​Even before we enroll students into our online courses, we need to put careful thought into how we are going to foster these presences (and how they will interact with each other). This is part of the "Teacher Presence" aspect. Another important part of the Teacher Presence aspect is just actually letting your students know that you are there, and helping them get to know you as a person. As Pacansky-Brock (2015) explains, this is the "Secret Sauce" to help your students feel welcomed! ​One activity that I have engaged some of my instructional design students in aims to maximize Teacher Presence from the very first moments that students enter into an online course. ​Greet Them at the Door! ​First impressions are as important when teaching online as they are in a face-to-face classroom. Unfortunately, online teachers don’t usually have the opportunity to physically greet their students at the door. But that doesn’t mean you can’t introduce yourself, and personally welcome your students to your course. Creating an online Instructor Introduction or Course Welcome video is a great way to establish teacher presence, and inspire and motivate your students from the moment they first login to your online course. Dwayne Reed’s Welcome to the 4th Grade (2016) is an excellent example of an Instructor Introduction video that has become an online sensation. ​Now -- we can't all create something as elaborate (and catchy!) as Reed's musical intro. But that doesn't mean we can't add the same sort of personal touch. For a more practical (and easy-to-create) example, check out the Instructor Welcome Video that I created to add into my online courses. ​One of the most important tips that I can give is to avoid talking about the course itself. You wouldn't start talking about the details of your course if you were physically greeting students at the door on the first day of a face-to-face class. Neither should you when greeting them at the start of an online course! Save that for a second, course specific video. Avoiding course specifics in your Instructor Welcome Video has an added practical benefit for you -- it increases your Return on Investment for the time spent on creating your video. If the video is a personal greeting, and not about a specific course, then you can use it in more than one online course! And, that brings me to my second big tip -- try to avoid saying things in your video that will immediately or quickly date it. Avoid saying things like "I'm currently pursuing...." Instead, say something like "In 201x I began...." That way, you don't need to redo your video as soon as things change (which means you also don't need to hunt down every place you've shared the video, and update the link to the new version). I used the free version of PowToon to create my Instructor Welcome video. But, there are plenty of other free video creation applications that you could use (and some awesome paid ones, as well). Using YouTube to Share Video in an Online Course (my blog post with tips on how to work with YouTube as an online instructor). ​I recently had a question which reminded me... I should never assume that everyone already knows how to use YouTube! I like YouTube as a EdTech tool, because it is a powerful way to share video content with your students (why bother worrying about how to process and stream video content, when YouTube already has powerful servers that will do it for you!). And that doesn't mean that you have to direct them to YouTube to view it. You can embed your YouTube videos directly into a website, or an LMS content page. To that end, here are a few resources that might be helpful. This first video shows the basics of how to upload and share videos in YouTube. As noted in the video... you do need to login. All you need for that is a GMail / Google account! ​This next video goes over some of the basics of choosing a privacy setting for your video. It's important to choose the right setting. If you want your video to be available publicly, then choose "Public." If you want to share your video with your students, and embed it into a webpage or LMS page, choose "Unlisted." "Unlisted" means the video can't be found using a search engine, but anyone with the link can still view it without a password. If you don't want anyone to view it without you directly allowing "just that person" to see it, choose "Private." Even with a direct URL, no one will be able to watch the video unless you authorize their email address! ​One of the great things about embedding a YouTube video into a webpage or course page in an LMS is that you won't be violating the video owner's copyright (assuming the person who posted the video isn't violating a copyright within the video itself!). That's because you're not actually making a copy of the video. You're essentially just sharing a link to it, and if the owner decides they don't want anyone to use it anymore, they can remove the video, or change the privacy setting. When they do that, your embedded player simply won't show it any more! ​YouTube has a few different "licencing" options when you post your own videos. The default is "Standard YouTube Licence," which is essentially a copyright licence. I prefer to change that setting to a Creative Commons Attribution. Using a CC Attribution means that you are letting others reuse your video as an Open Access resource, so long as they properly attribute you. It also means that you are allowing others to make a copy, edit, remix, or combine parts of your video with other Creative Commons videos from YouTube! I frequently share this advice to my students at the start of a new course (in some form or another, and often in separate communications). Since we're at the start of another term, I figured that this would be a good time to share some useful time management strategies for anyone participating in an online course. ​There are often a lot of readings included in your course units. But, that doesn’t mean you need to spend all of your time reading, reading, reading…. Your instructor may share a lot of resources in your course to give you a broad perspective on the types of resources out there, and issues to consider. You don’t need to read and digest EVERY. SINGLE. WORD. Take a look at each of the resources, and try to pull the main points out of them – particularly as they apply to you and your own context! Pre-Read for Title, Abstract, Headings, Key Terms – this will give you a good sense of the key points, and what you should be looking out for when you read deeper. Attack the Reading with a Purpose – consider why YOU need to read the piece, and what YOU want to get out of it. Connect it to your own context, and look for the points that relate to that. Skimming – Skim through the reading to find those sections that are most important to you. Many “academic” resources contain A LOT of information that you don’t necessarily need RIGHT NOW! Read those key sections a little more deeply, and make some notes about how they relate to you and your needs. Skip the sections that provide extra details you don’t need right now (you can always re-read them later, if you are really interested, or the need arises). ​"I logged on to the forum and I must have 60 missed messages/discussions in my inbox just since Thursday. Trying to sort through those and post/discuss/tweet - I don't know how I can possibly keep up"
First strategy... you don't need to read each and every post! Post your own responses for the weekly questions. Read and respond to a handful of posts from some of your classmates (look for ones that haven't had a lot of responses yet). While it is valuable to hear everyone's voice on the topics and questions we are exploring... it can also drive you mad trying to read them all (especially in a class with many active students!). Second strategy... set up a "Daily Forum Digest." If your LMS allows it, (Moodle, for instance, does) tell the LMS to mark all new messages as "Read" once your Daily Digest is sent out to you by email (which will avoid the shock of seeing so many unread messages when you login to the LMS, and the time-consuming task of navigating to, and viewing them all to get them all marked as "read"). I find that the Daily Digest option is useful for time management, because you know what time it will arrive in your inbox. Everything is grouped together by forum in one place, and you can quickly peruse from your inbox to see if there is anything important. If not, and you have your preferences configured to mark them as read when the Digest is sent, then you don't have to worry about those messages when you login to the LMS. If so, there will be a link in your Daily Digest to go directly to that message (so you can find it, even if they have now all been marked as "read"). Third Strategy... set aside a specific time when you will review messages. Allocate yourself enough time to post your required original posts and responses, and a bit of time for perusing other posts, course announcements, etc. Stick to that amount of time, even if it means you can't get to reading all of the insightful posts made by your classmates! Fourth Strategy... if your instructor has a dedicated Questions and Help forum, use it! If you have coursework related questions, or general questions about the course site, administrative issues, etc, post them in that dedicated space. Your instructor will likely check there first when they are logging in to the course site. Avoid burying questions for which you expect / need an instructor response in regular module discussion forums. Your instructor may be following some of the strategies outlined above, may not have time to read each and every post in the regular forums, and may miss your query amidst that sea of new posts! On the surface, this question sounds like it should have a straightforward answer. But, often the definition of instructional design can be murky, because there is a lot that it encompasses. Right now, I am facilitating a couple of introductory-level instructional design courses at different Canadian universities. I thought that it might be helpful to draw upon some of their course resources to summarize what instructional design is, from my perspective. 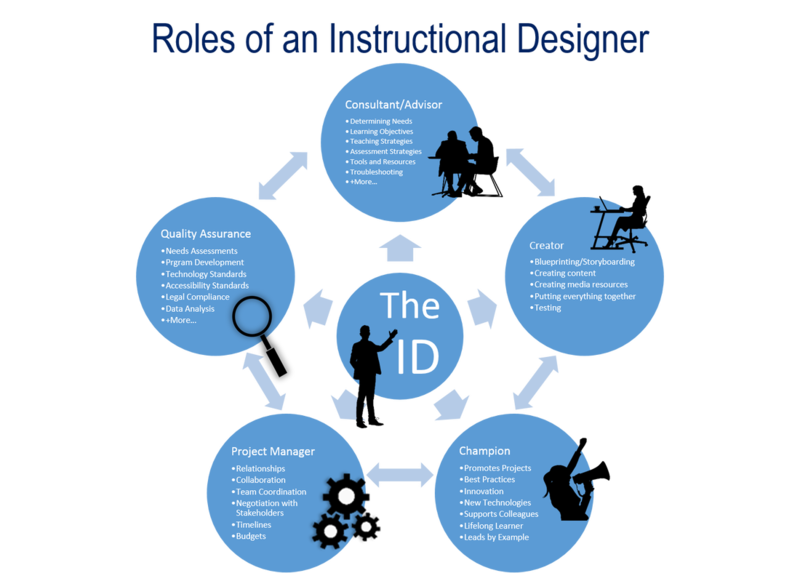 Instructional design is more than just putting information in front of learners. Instructional design has clear goals, and gets your learners focused on the right things. Instructional design provides context and perspective. Instructional design compresses the learning process and saves time. Instructional design engages learners with clear and meaningful content. For the most part, I agree with Kulhmann's observations -- although I would argue that "compresses the learning process and saves time" is not always a desired objective of the ID process. That would all depend on the context -- and in some contexts, you may want to deliberately extend the learning process! However, I think that there are enough "gems" in Kulhmann's points to craft a basic working definition of instructional design for the purposes of those "new to the game." Instructional design is the process of establishing clear learning goals, and then creating a plan, environment, and resources, that engages learners with meaningful content and clear and purposeful activities. ​What is the Role of the Instructional Designer? And, of course, there is a lot of overlap between all of these roles! I've been playing around a bit with using HP Reveal Studio (formerly Aurasma Studio) to created Augmented Reality resources, such as interactive game boards and conference posters. For Mobile Summit 2018 and the 17th World Conference on Mobile and Contextual Learning (mLearn 2018), I developed a workshop on how to use HP Reveal Studio to create an AR treasARmap. That's a magic treasure map that appears blank for my students, until they scan it using the HP Reveal (formerly Aurasma) app using their mobile devices. What they see when they scan the blank map is something like the image below, where the pieces of the map slowly reveal themselves. The QR code and URL on the image above will take you to the companion resources that I created for the workshops. But, since I've had a lot of requests for this, I've put together this blog post to bring everything together into one spot, and show how I created the AR treasARmap. 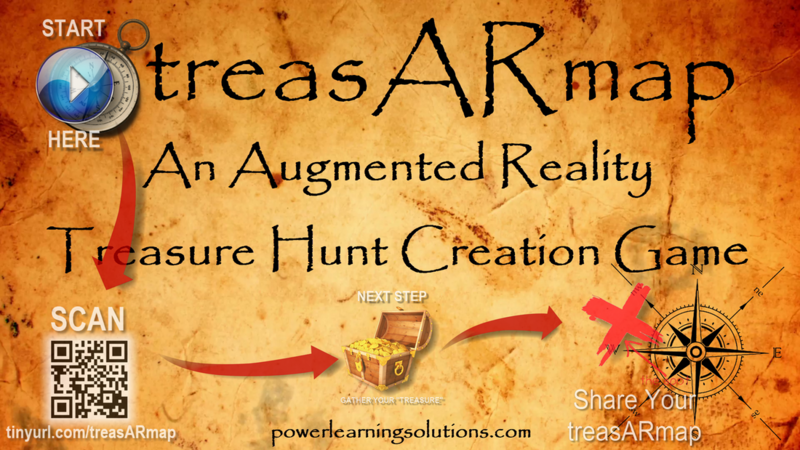 To access this augmented reality "treasARmap," install the HP Reveal (formerly Aurasma) AR app on your mobile device. Launch the app, point your device at the image below, and click on the AR objects to follow a team's path to the finish line! You can make a treasARmap map poster using any graphics editing tool. 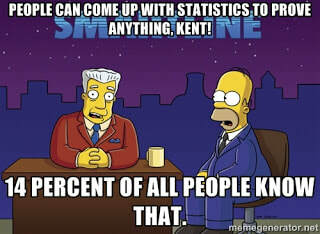 Perhaps one of the simplest to use is PowerPoint. However, the Canva free online poster and infographic creation suite was used to create the map poster for treasARmap. The following video shows how Canva was used to create the map poster. Find or create a background pattern for your treasARmap poster. Create an account at Canva (if you don't already have one). Upload your poster background into Canva. Use Canva to create the static text and images (the non-Augmented Reality components that will always be visible) on your treasARmap. Save your treasARmap in Canva. ​Export a copy of your treasARmap poster as an image file (.png or .jpg). ​You can use the free HP Reveal Studio (formerly Aurasma Studio) to created your Augmented Reality Layers on your treasARmap. The following video shows how to get started by adding the treasARmap poster you created in Canva to the HP Reveal Studio, and how to add basic "layer" images with simple user interactions. This video shows how to add timer delays to your trigger images, and how to set layer images so that they remain hidden until the user performs specific actions. In this video, we build upon the conditional triggers concept, and use layer images to create branching scenarios for users. Login to HP Reveal Studio (or create an account, if you do not have one yet). 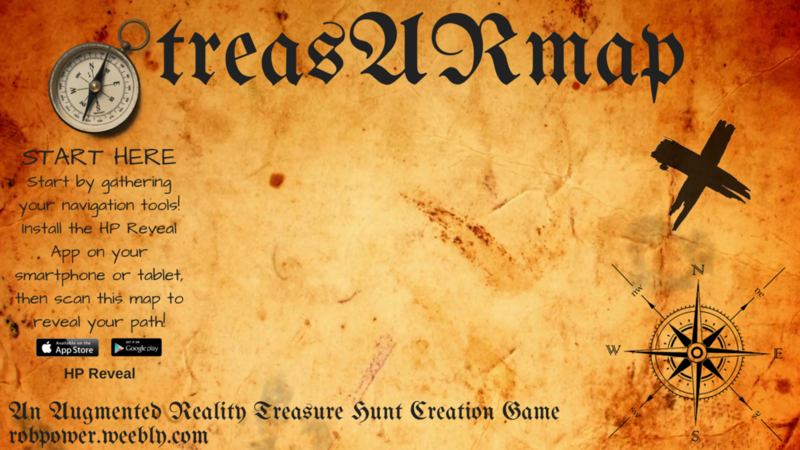 Create a new "Aura" by uploading the treasARmap poster background that you created in Canva. Add 3-4 "layer" images to your treasARmap "aura." Have one layer trigger a YouTube video. Have one layer link to a Google Form. Have all but one of your layers "hidden" when your treasARmap is first scanned. Add a delayed "trigger" to one of your layers, so that it appears at a set time after another layer. Add a "trigger" to one layer, so that when it is clicked, one or more of your other layers appear. Create a "branching trigger," where two layer images are visible, and the map changes (with different additional layers appearing) based on the trigger layer selected by the user. Preview your completed treasARmap, and download the "target image." Give it an appropriate filename! Open the image you downloaded, and test it using the HP Reveal app! ​The benefits and drawbacks of the integration of technology into both the curriculum, and teaching and learning practice, continue to be contentious issues on multiple fronts. On the one hand, there are those who continue to subscribe to Clark’s (1994 a, b) contention that technology has no impact whatsoever on learning achievement. Evidence may point to this conclusion that technology integration results in no significant difference in learning achievement compared to “traditional” classroom settings. However, there are many more reasons why it is imperative that teachers and schools thoughtfully plan for meaningful technology integration. Clark’s long-time rival in the media effectiveness debate, Kozma (1994 a, b), points to the fact that newer technologies enable pedagogical approaches and learning experiences that previously were not possible (and for which there can be no technology-free learning achievement comparison). These learning opportunities include the ability for remote learners, and those facing accessibility challenges, to be engaged on unprecedented levels. Another imperative for meaningful technology integration is the preparation of learners to be responsible digital citizens, who are empowered to leverage technology to meet emerging needs in their lives, learning, work, and society. [examine] the theoretical foundations and practical questions concerning the educational use of technology. The main areas of focus… include learning theory and the use of technology, analysis of the learner, curriculum, and technology tools, leading-edge technology programs/initiatives, implementation, assessment, and barriers toward using technology. The overall focus of the course is on developing a critical, evidence-based, theoretically grounded perspective regarding the use of technology in the curriculum (EDUC 5303G Course Syllabus, Spring/Summer 2018). Each chapter in the eBook focuses was written by a course participant, and focuses on a topic chosen by them that stems from the issues explored throughout the Spring/Summer 2018 term. The authors first submitted their chapter drafts for feedback from the instructor. Each chapter also underwent a double-blind peer-review process, before the final versions were added to the actual eBook in Pressbooks. EDUC 5303G aims to live up to its own mandate, and meaningfully integrate technology into the course curriculum, and overall learning experience. Digital communications tools, such as the Pressbooks platform, allow for a transformation of the traditional academic paper writing experience. Rather than writing a paper to demonstrate topic understanding, and competence with writing mechanics, for just an instructor’s review, technology enables course participants to write with purpose. This eBook chapter writing endeavour allows participants in a course like EDUC 5303G to more fully engage with their peers in the writing process, in a manner that reflects the realities of academic writing beyond the classroom. The project also allows them to share their work with a global audience. This integration of technology forces students to take deeper ownership of their work, but also allows them to share the fruits of their labours with others who could benefit from their explorations of topics related to the meaningful use of technology in education. It gives me great pleasure to facilitate access to the tools and processes used by provide the EDUC 5303G Spring/Summer 2018 participants to produce the eBook, and to share the resources they have compiled. Clark, R.E. (1994a). Media will never influence learning. Educational Technology Research and Development, 42(2), pp. 21-30. Clark, R.E. (1994b). Media and method. Educational Technology Research and Development, 42(3), 7-10. Kozma, R. (1994a). Will media influence learning? Reframing the debate. Educational Technology Research and Development, 42(2), pp. 7 - 19. Kozma, R. (1994b). A reply: Media and methods. (1994). Educational Technology Research and Development, 42(3), pp. 11 - 14. ​What are the challenges that we face as technology integration specialists in our teaching and learning contexts? And, what tips or advice do you have for overcoming some of those hurdles? Those are questions that I just posed to graduate education students participating in my Spring/Summer 2018 section of EDUC5303G: Technology and the Curriculum. ​If we look at the Technology Acceptance Model (TAM) (Davis, 1989), I don't think that the problem with intention (and action) to integrate technology lies with "Perceptions of Usefulness." We see examples every day of how useful different technologies can be. ​Perceptions of self-efficacy can influence a teacher’s “levels of planning and organization” and “willingness to experiment with new methods to meet the needs… of students” (p. 783). ​If we can help teachers to feel more comfortable with using technology, and they already see that technology as being potentially useful, they'll be more likely to experiment with it in their teaching and learning practice. So... how do we get there? ​In my Handbook chapter, and Mobile Summit 2018 Keynote, I focused in on how widespread TPACK (Koehler & Mishra, 2006, 2008; TPACK.org, 2012) has become in guiding teacher professional development when it comes to technology integration. As teachers, we already have strengths in the areas of Content Knowledge and Pedagogical Knowledge. It's easy for us to demonstrate the usefulness of different technologies, and to find training or resources on the technical how-to of technologies that we do choose to integrate (assuming that we can find the time to pursue them!). So we've got those aspects of TPACK covered off pretty well. And, if we're using TPACK to help shape professional development based on our needs as teachers, then we don't need to focus so much on addressing those areas. But, what TPACK shows us we're still missing, and fails in-and-of-itself to deliver, is the actual Technical-Pedagogical Knowledge area. Without this understanding of pedagogical decision-making for the use of technology, how are teachers going to increase their confidence in their ability to use technology effectively? ​As I've already noted, teachers are pedagogical professionals. If we want to increase their self-efficacy when it comes to meaningfully and effectively integrating technology into their practice, we don't need to focus on either the usefulness of the technology, or how to use specific tech tools or "apps du-jour." What we need to focus on is how to make pedagogical decisions first, decide when tools are needed, and then find appropriate tools to "get the job done." In my research, I've demonstrated exactly what Tschannen-Moran and Woolfolk Hoy (2001) were talking about. When provided with tools to support pedagogical decisions around the use of technology, teachers became both more interested in, and more willing to experiment with technologies they hadn't used before. In my research, I focused on the use of mobile learning strategies, and I provided teachers with professional development that focused on making instructional design decisions using an evidence-driven framework. They did get to the "fun" bit of playing with the tech itself (I mean, how boring would PD be if we never got a chance to play with the toys!) -- but I carefully minimized the cognitive load of learning new technologies, so that the teachers could focus on the technology integration decisions that they were making. ​What's the point of my rant in this blog post? While we should keep up with experimenting with innovative technology use in education, our main concern should not be with either what the technology can possibly do, or how to use that technology. The focus should be on how to use the technology meaningfully. To get there, we need to place sufficient focus in teacher preparation programs and professional development efforts on how to make decisions about when it's appropriate to use technology tools, and how to frame our instructional design decisions. If teachers feel confident as to why they are using tools, and in the fact that it's not so important that they be experts with all of the tools themselves (after all -- our students can oftentimes provide us with on-the-spot tech support! ), then their self-efficacy will go up. That will get more teachers to the "Intention to Use" stage in TAM, which will bring us closer to the Late Majority stage in the Diffusiion of Innovation model. You can find my full slidedeck from my Mobile Summit 2018 keynote presentation HERE. You can learn more about my research into the CSAM framework HERE, and the mTSES tool that I used to measure changes in teachers' perceptions of self-efficacy with mobile learning HERE. Finger, G., Jamieson-Proctor, R., Albion, P. (2010). Beyond pedagogical content knowledge: The importance of TPACK for informing preservice teacher education in Australia. In M. Turcanyis-Szabo & N. Reynolds (Eds. ), Key competencies in the knowledge society (pp. 114-125). Berlin, Heidelberg: Springer. Koehler, M., & Mishra, P. (2008). Introducing TPCK. In AACTE Committee on Innovation and Technology (Ed. 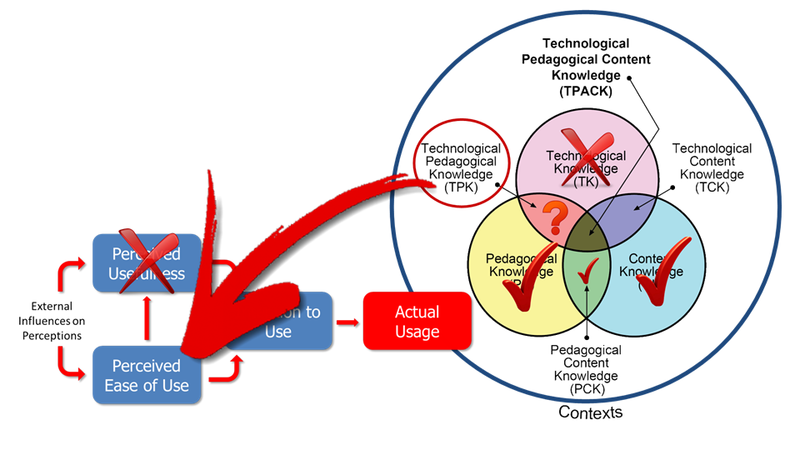 ), The handbook of technological pedagogical content knowledge (TPCK) for educators (pp. 3-29). American Association of Colleges of Teacher Education and Routledge, NY, New York. Rogers, E. (1974). 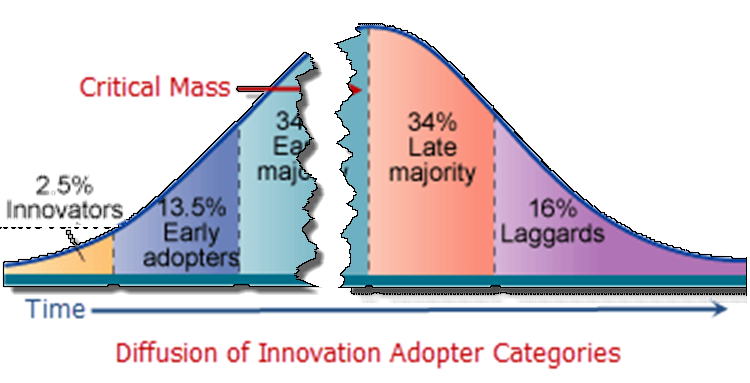 New product adoption and diffusion. Journal of Consumer Research, 2(4), 290–301. Tschannen-Moran, M., & Woolfolk Hoy, A. (2001). Teacher efficacy: Capturing and elusive construct. Teaching and Teacher Education, 17(7), 783-805. My first encounter with designing for Digital Accessibility was through a professional development program offered to my colleagues and me in the Advanced Learning Technologies Centre at College of the North Atlantic-Qatar by the Mada Assistive Technology Centre. I've been including discussions of digital accessibility in my graduate and undergraduate-level educational technology courses for several years now. I've also been "preaching" about the need to think about digital accessibility when designing eLearning courses and resources to my colleagues in various sectors. To further our ability to meet this need, in February 2017, I and my teammates in the Fraser Health Authority Online Learning Team participated in an online MOOC (Massive Open Online Course) through the University of Southampton called Digital Accessibility: Enabling Participation in the Information Society. ​Recently, I've received a number of requests for more information and resources -- both from my students, and my colleagues. I'm also working on a couple of new courses, where I'll be discussing this topic again. So, I figured that I would compile some of my favorites from several courses I've taught into a single blog post on the Power Learning Blog site. Traxler (2016). talks about accessibility and inclusion of all learners in the context of increased use of mobile technologies to mediate learning experiences. Many jurisdictions have already mandated technical and instructional design standards for user accessibility. The World Wide Web Consortium (W3C). provides an overview of accessibility issues and a list of standards that are increasingly drawn upon as the foundations of the accessibility policies, standards, and legislation being adopted by many organizations and jurisdictions. A common theme emerging from discussions of accessibility standards is that designing with accessibility in mind improves the learning experience for everyone – not just learners with specific accessibility issues. Accessible Digital Documents and & Websites. BCampus Open Education Accessibility Toolkit. Traxler, J. (2016). Inclusion in an age of mobility. Research In Learning Technology, 24. doi: http://dx.doi.org/10.3402/rlt.v24.31372 (Links to an external site. )Links to an external site. I seem to have occasion to repost my most viewed blog post to date once every few months, as the discussions around blanket bans on mobile devices in schools rear their ugly heads once again. This time, it's talk from the newly elected Progressive Conservative government in Ontario, Canada, who are placing a blanket ban on mobiles on the table as part of their incoming platform (Flanagan, 2018). (A few months back, it was the blanket ban on cell phones in schools in France (Willsher, 2017).) So... here it is again... reposted here so that this March 2016 post from my old blog site, the xPat_Letters Blog, has a new home (and new context) here on the brand new Power Learning Blog. But, they’re not troubling for the obvious reason presented in the story. The premise of the story (and the research on which it was based) was that mobile devices are distracting students to the level of significant lost instructional time. And if schools want to see better test scores, then they had better start banning mobile devices. No. This is not the problem. Students today depend on paper too much. They don’t know how to write on a slate with­out get­ting chalk dust all over them­selves. They can’t clean a slate properly. What will they do when they run out of paper? What IS troubling with this story (and research) are the questions that were NOT asked. The research shows an increase in achievement across ALL schools that have banned mobile devices versus ALL schools that allow them. BUT, no attempt is made to look at schools that actually plan for mobile technology integration. It could be that the majority of the schools polled have no such plans, in which case the argument that mobile devices only serve to distract students is likely true. But what of schools that have coordinated their technological infrastructure and pedagogical strategies to leverage mobile devices within the curriculum? Ally (2014) noted that teacher training continues to be based on an outdated education system model that does not adequately prepare teachers to integrate mobile technologies into teaching practice. 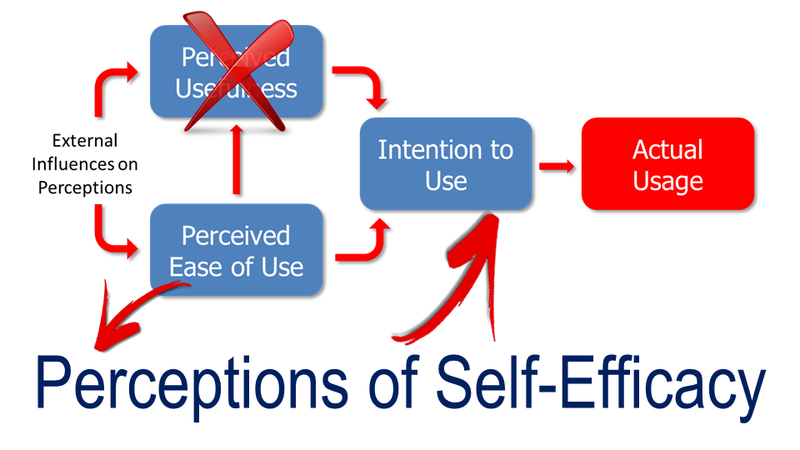 Lack of training in the pedagogical considerations for the integration of a specific type of technology can have a negative impact upon teachers’ perceptions of self-efficacy (Kenny et al, 2010). Technology will never replace good teachers. But technology can make good teachers better. Better teacher (and school) preparation will enable educators to make instructional design decisions that incorporate technology, and increase student engagement and access to learning opportunities and resources. My research has shown that professional development focused on scaffolding technology integration in the context of desired learning outcomes and appropriate pedagogical decisions does increase teachers’ interest and confidence in using educational technology. If teachers are interested, and plan how they will leverage technology in the classroom, then distraction will decrease and learning will improve. How do students perform at schools that have planned for mobile technology integration? How do students perform in classes where teachers have been prepared to make effective educational technology integration choices? What factors are creating barriers to effectively leveraging mobile technologies in the schools polled in this research? And what can be done to overcome those barriers? Kenny, R.F., Park, C.L., Van Neste-Kenny, J.M.C., & Burton, P.A. (2010). Mobile self-efficacy in Canadian nursing education programs. In M. Montebello, V. Camilleri and A. Dingli (Eds. ), Proceedings of mLearn 2010, the 9th World Conference on Mobile Learning, Valletta, Malta. Rob Power, EdD, is an instructional developer, and educational technology, mLearning, and open, blended, and distributed learning specialist.